Halloween parties creeping up on you? Don’t be scared! 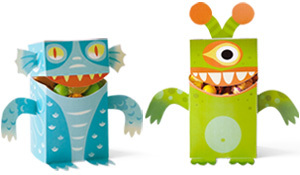 Just download our free Halloween printables to scare up some big fun for your little monsters. With our tricked-out treat-box creatures and quick-and-easy Halloween can wrappers, we’ve got your Halloween treats covered—literally! 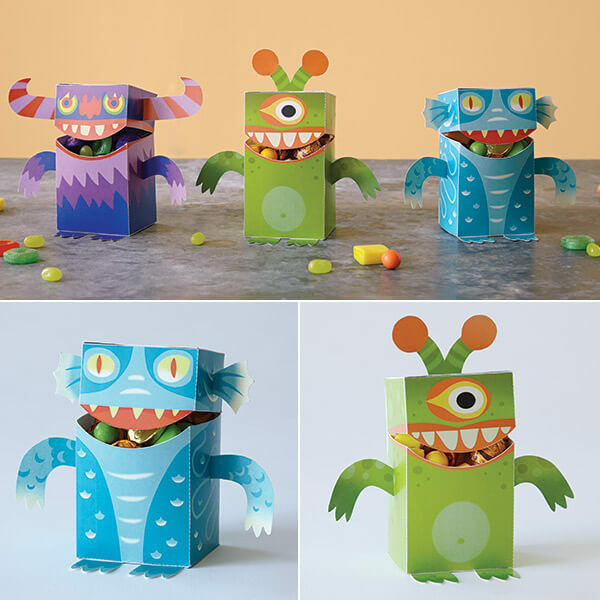 Fill these more-cute-than-creepy creatures with candy and give them to your own little candy goblins! 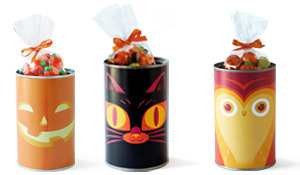 These cute candy cans are a snap to create—just print, wrap and glue! Katie Larson is a lettering artist at Hallmark where she gets to make words look pretty. A lover of cats, sewing and chocolate chip cookies, Katie spends so much of her spare time crafting, she never seems to have any time left for cleaning.